These Mechanic Toys For Kids Boost Language Development! 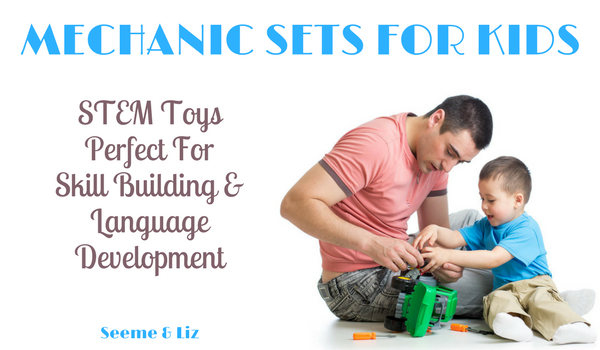 Seeme & Liz > Christmas Gifts > These Mechanic Toys For Kids Boost Language Development! What child doesn’t love taking toys apart and putting them back together again? Well, maybe not the “putting back together” part. That really depends on the child. If you have an inquisitive child (which most children are) have you ever thought of turning your little one into a mini-mechanic? 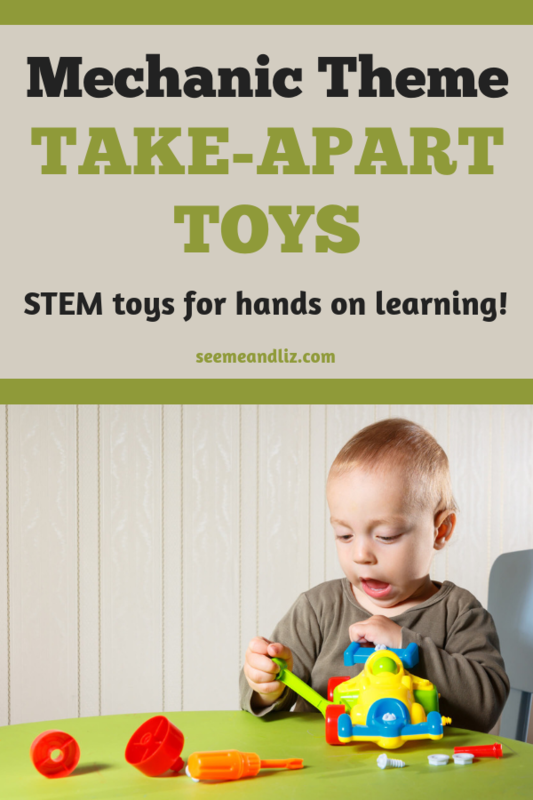 Mechanic toys fall into the STEM category (science, technology, engineering, math), meaning that in addition to language development your child will also learn some STEM skills. Below are some of my favorite mechanic toys for both boys and girls! 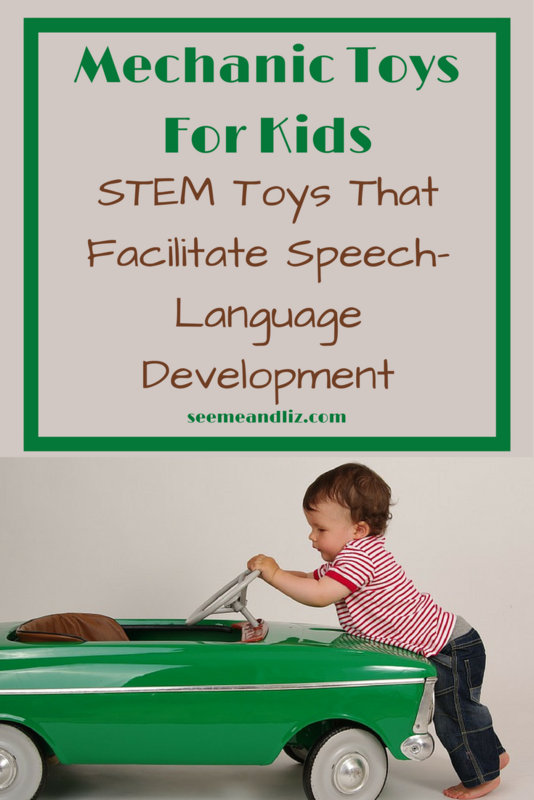 I’ve made sure to include ways that these toys can help with your child’s language development and learning. All of these toys are meant for children 3 years and up. Unfortunately there aren’t many engine “repair and build” toy sets available. Below I will discuss 2 that are ideal for children ages 3 and up! Plus find out how to incorporate speech and language building activities into play activities with these sets. If Mommy or Daddy is a mechanic then this set is a must have! But even if you aren’t a mechanic, this engine repair set is amazing! Your child doesn’t even have to get his/her hands dirty yet can learn so much. Once the engine is fixed and the hood has been closed, the child can get behind the engine and pretend to drive around using the steering wheel and horn. A great toy for pretend play! The set includes 25 pieces consisting of cranks, pistons, realistic-looking spark-plugs, a starter key and engine base. The engine can be completely taken apart and then put back together again. Once it’s fully assembled, this toy really comes alive with lights, sounds and real moving pistons! The design is simple so not to overwhelm young children, but it still very similar to a real-life engine. 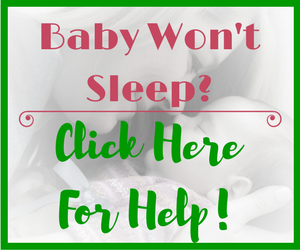 The words you choose to use should be dependent on your child’s age and language ability. ♦ Open, close, lift, wheels, turn, cowling, spark plugs, wingnuts, breaks, air filter, oil, gas, dipstick, horn, (head)lights, repair, ignition, piston, key, wrench, screwdriver, tighten, loosen, etc. These sets are all about problem solving. Children can fix certain parts of the engine and then turn the key in the ignition to see how the engine sounds and make sure everything is working. Or they can see how the pistons go up and down. Keep in mind, each set is a bit different so they won’t all do the same things. If your child also has some ride on vehicles, they could drive around in one of those first. Perhaps the car has broken down and they need to go to a mechanic. A tow truck might need to be called. Once at the mechanic the engine can be repaired! Or maybe the engine came from a UFO and the child needs to repair it fast to send those aliens back to Mars! 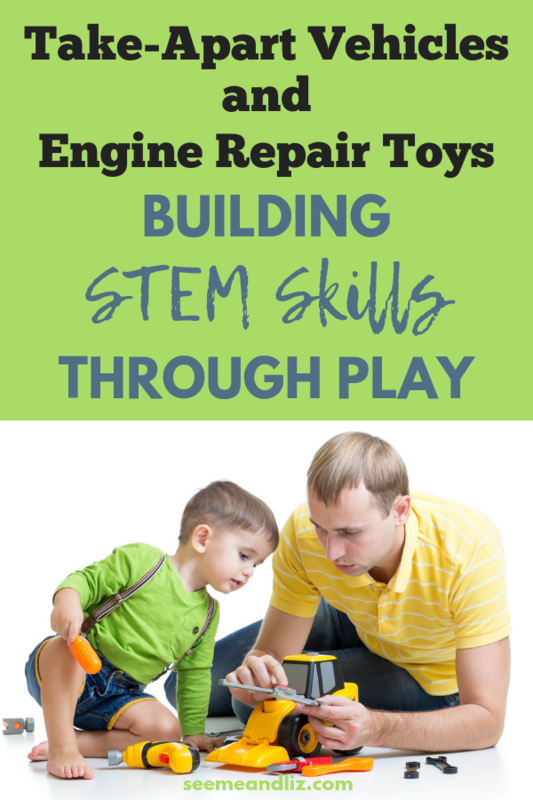 Children will be able to hone in on and strengthen fine motor skills while using the screwdriver and drill to assemble and disassemble the engine. It can be tricky lining up a screw to the correct part and then screwing it in with a screwdriver. This is when hand eye coordination comes into play! The more your child practices putting together the engine and taking it apart again the more opportunities to practice this valuable skill. Another great way to work on hand eye coordination is through puzzles! Children need to remember where certain parts go in the engine when they are taking it apart and rebuilding it. These sets are wonderful for encouraging team work when more than one child is playing (or an adult and a child). Children must work together to accomplish a goal. There is a much larger selection of “take apart toy vehicles” than mechanic toy sets. But these are wonderful for hands on learning as well!. I love them because they are basically 3d puzzles! Your child can have fun putting the toy together, playing with it and then taking it apart again! 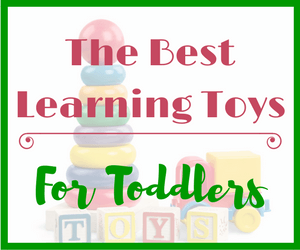 These types of toys are packed with natural learning opportunities! This junior mechanic set is made by Discovery Toys and comes with an airplane, motorbike and a car. You will also get a power screw driver, a standard screwdriver, extra screws and a toolbox (you will need to supply the batteries for the power screwdriver). Each vehicle has moving parts and once assembled can be played with. The language building and learning opportunities will be similar for all take-apart car toys so I will only list them here. There are so many things you can talk about including the names of the vehicles as well as the tools. This skill is essential to for deductive reasoning, organization and later on, math abilities. Children learn through play that a door and steering wheel does not make a car, the same as a snowball and a carrot does not make a snowman. By assembling toys such as the ones found in the Motor Works Set children can learn the labels for the parts of each vehicle and then get to assemble the vehicle themselves. Once the vehicles are assembled they can become part of many play scenarios. You and your child could build a ramp out of cardboard and test the vehicles strength to make sure they were assembled properly. Identify the parts of all the vehicles and sort them into categories, for example, place all the doors in a pile. Match parts that belong to certain vehicles. See tips in toy engine section. Try assembling a part from the car with a part from the motor bike. Will it work? Battat Take – A – Part vehicles are very similar to the ones in the Motor Works set. So, I won’t go into the language and learning ideas because I don’t want to repeat myself and bore you. The Battat vehicles are slightly larger than the Discovery Toys ones and you only get one vehicle, however each vehicle has between 18 and 21 separate parts. But, these vehicles do not come with a manual screwdriver, just a power one. The power screwdriver has 3 bits. There are also nuts and bolts in addition to screws with this set. Other than that Motor Works and the Take – A – Part vehicles are very similar and they are both from extremely reputable companies! This race car (and it’s roadster counterpart) comes with 30 pieces, some of which can be used to modify the look of the car – you can take more apart than just the wheels (as shown in the picture). When the engine is set to on, the car will light up and make sounds. Some of the items that come with this car set include 5 car pars, 6 modifications, 8 tires, a drill and drill bit, large screws and batteries. If English is not your first language, the instruction manual is also written in German, Spanish, French and Italian. And these mechanic toys for kids will allow your child to build, experiment and test their creations, all while learning new words among many other valuable skills. Does your child have any of these toys? If not, do you think this is a toy your child might like? I love that the batteries in these toys are only required to run power screwdrivers, make lights work and provide some engine sounds. Other than that the child can completely interact with these toys on their own! I love this article. Rightly so, there are so many ways that you can teach children vocabulary with these toys along with motor skills. My 2 year-old daughter loves to build and create and I can definitely see her playing with the Build Your Own Engine. In fact, I would have a go to lol. What is the highest age you recommend that children will be over aged to play with such toys? I’m glad that you enjoyed the article. Most children like playing with these types of mechanic/car toys until around the age of 6 but it really varies from child to child. Interesting article. Our granddaughter struggles a bit with speaking and she likes playing with toy cars (she a dollie girl as well). The idea that repairing an engine could be used as a method to help sentence structure and vocabulary is very intriguing. I’ll share this with my wife and consider one of your toy recommendations for the next birthday gift. Cheers. Thanks Myles! I’m glad I was able to give you some language development tips. 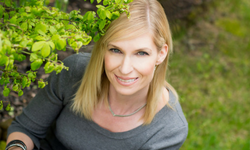 Take a look at this article if you are interested in some more speech and language tips! Great post! 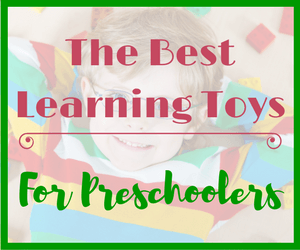 Love the toy recommendations and the pretend play! I have a hard time remembering to use my imagination to spark my little ones creativity. On another note though he loves anything with engines so these mechanic toys will be great to try when he’s closer to 3! 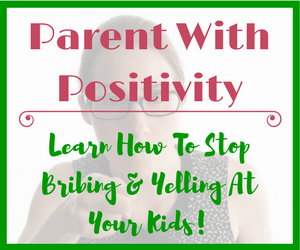 It can be tough for parents to interact with their young children. You don’t want to do everything and take over their play. But parents are their child’s best teachers so you do want to get in there from time to time and get creative. Here is an article that discusses guided play that might give you some tips! These toys look like they are great to play with for my daughter. I was wondering though what is the minimum age for these toys? She’s just over two now but she is always poking her head into everything and just playing with whatever she finds. I feel that playing with these and talking to her will help her language, which me and my wife are doing. She’s coming along quite well I must say. The manufacturers of these toys recommend they are for children ages 3 and up, due to the small parts. However, you know your child best. There are 2 year old who no longer try to eat small pieces but then there are 4 year old who are still trying to eat everything. Click on the link of the toy you are interested and you will find more information about it, including what the recommended age is! These toys look like so much fun. And it is amazing how much they offer in addition to fun. Wow! Thank you for providing all of that good information. I honestly never thought of toys in the light of how much they educate. This is very helpful. My kids are older but this is great for gifts for other children in my life. Thanks for stopping by Ilyssa. Many parents don’t realize what their child can learn from a simple toy. It seems that people are more interested in toys that promote early academic skills (counting, letters, colors, etc. ), however these toys are not very interactive. A child simply pushes a button and hears someone counting. This is not how children learn. Especially young children. Thanks for sharing this article with us. 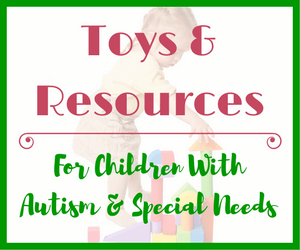 There are a really good selection of toys here that will no doubt help develop many skills within our children. I love the motor works set, the toys are exactly the sort of thing that my son would love to play with. I like the fact that these can be taken apart and put back together again and aid in the child’s development. I think these toys are good for children and adults to interact with together too. Thanks for your comment. I love these toys because they aren’t all about pushing a button to make the toy do something. They are so interactive and packed with learning opportunities. Even if your child isn’t into mechanic toys, simply being able to build something is enticing for many children. It also allows them to feel a sense of accomplishment. And like you said, these toys are a great way for parents to interact with their child which leads to the development of social skills.